ECEX provides expert on-site installation, alteration and repair to all solid and flexible ductwork systems, and flexible duct connectors, including the removal and repair/replacement of individual components. Air intake and extract fans. V belts, bearings and couplings. Fans, motors and ductwork are critical components in any HVAC system, and you neglect them at your peril. Maintaining this equipment effectively not only boosts a business’s productivity, but it also reduces the likelihood of disruptive and expensive breakdowns. ECEX’s highly-qualified team has the in-depth skills, knowledge and expertise to maintain and install this equipment quickly and safely while also adopting a total quality approach that will leave you happy with the results. Indeed, customer service is central to our business philosophy; we always go that extra mile to ensure that our clients are not just satisfied, but delighted. 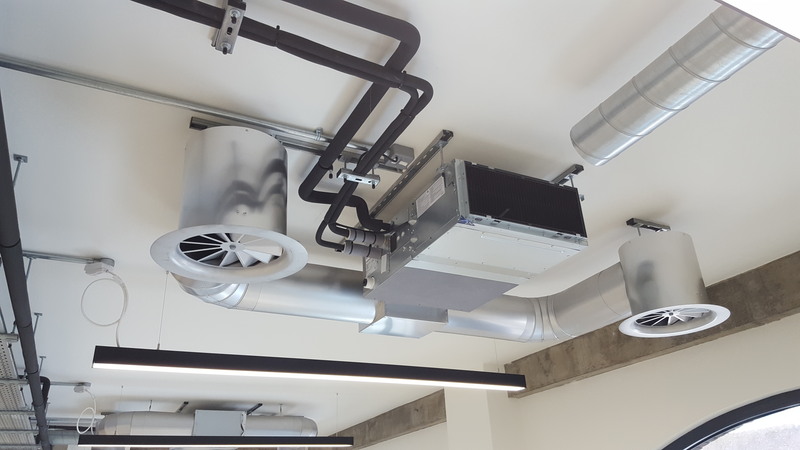 From realigning ductwork to the complete overhaul of an air handling unit, ECEX has experience carrying out all kinds of projects associated with air movement. These include maintaining louvres and grilles; air intake and extract fans; anti-vibration mounts; flexible duct connectors and ducting; filters, dampers; electric motors, and bearings and couplings. Using well-trained, highly-accomplished engineers, ECEX offer and undertake a complete range of mechanical services to the building services industry. From replacing pipework and valves to upgrading or downsizing water storage tanks, we can offer a turnkey solution to suit your needs.